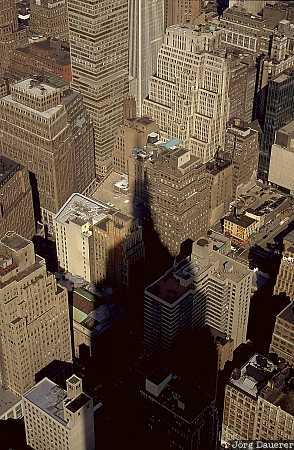 The shadow of the Empire State Building over the buildings of midtown Manhattan seen from the top of the Empire State Building. Manhattan is the center of New York City in the state of New York at the east coast of the United States. This photo was taken at noon of a sunny day in September 1995. This photo is part of the exhibition Shadows (June 2007). This photo was the image of the month in January of 2012.